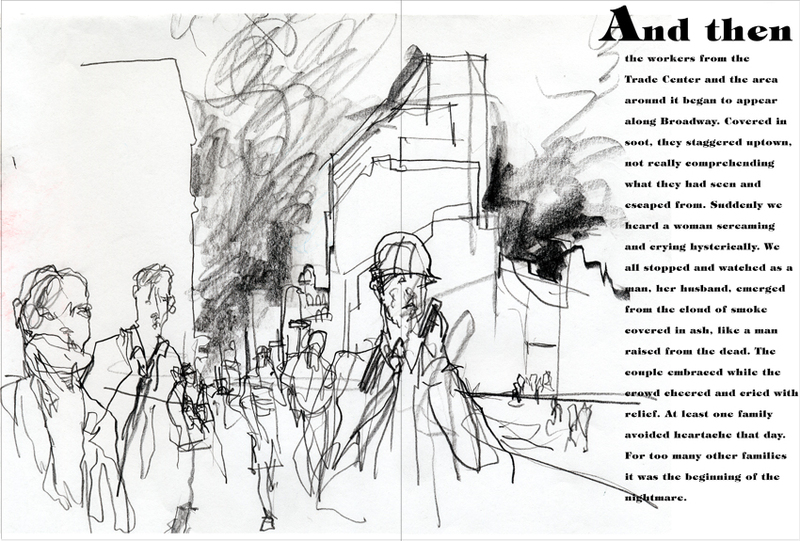 September 11, 2001: Words and Pictures is a first-hand reportage account of the events of September 11th, 2001, in New York City. 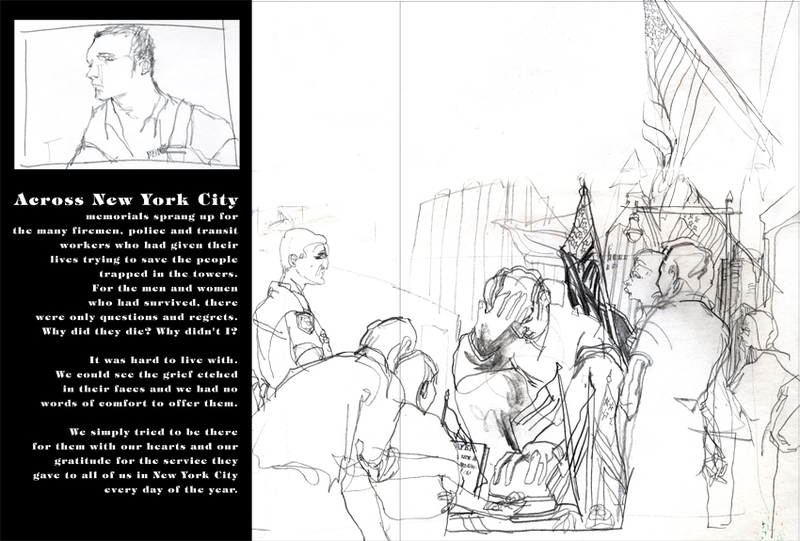 The book is written and illustrated by Veronica Lawlor, a reportage illustrator and member of Studio 1482 in New York. Ms. Lawlor has lectured on her experiences documenting the events of that day and the weeks that followed in NYC, and has exhibited her work at the New York City Fire Museum. 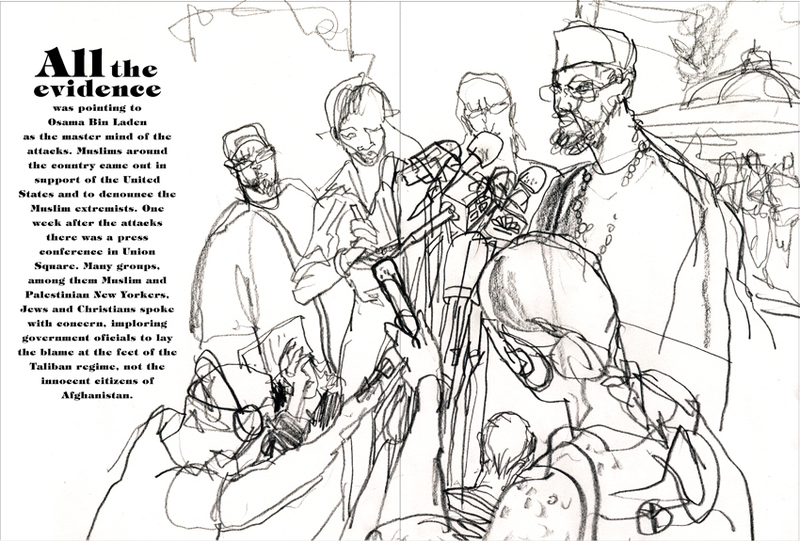 The cover image of the book is also on display at the Newseum museum of journalism in Washington DC. 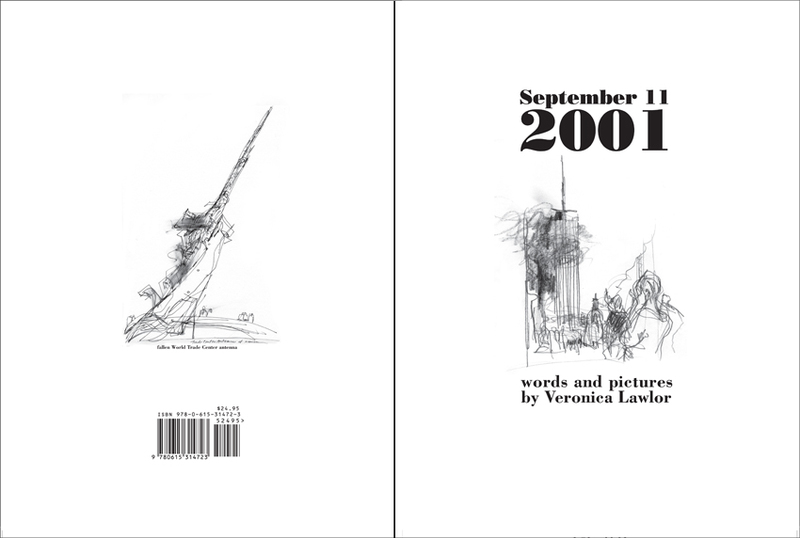 A portion of the proceeds from the sale of September 11th, Words and Pictures will be donated to the New York Firefighters Burn Center in memory of Carl Bedigian, a friend of the author and firefighter who lost his life on September 11, 2001. www.nyffburncenter.com. For school or museum sales, or to contact the author/illustrator, please write to her in care of veropress[at]me.com. Posted by vero press on Wednesday, November 19, 2014, at 8:36 am. Filed under Book information. Follow any responses to this post with its comments RSS feed. You can post a comment or trackback from your blog.